When you invest in a set of hearing aids to help you manage your hearing loss, it is common to wonder how long your hearing aids will last you. Our hearing instrument specialists have been asked about this topic many times and wanted to help clarify how long you can expect your hearing aids to last and what you need to do to help preserve their functionality. Hearing aid style – In-The-Ear (ITE) hearing aids are often prone to more earwax and moisture damage, due to their position in your ear. As Behind-The-Ear (BTE) hearing aids sit on top of your ear, with only the receiver inside, the BTE style of hearing aids tends to last longer. At most, you may need to replace the receiver to help extend the life of your hearing aids. 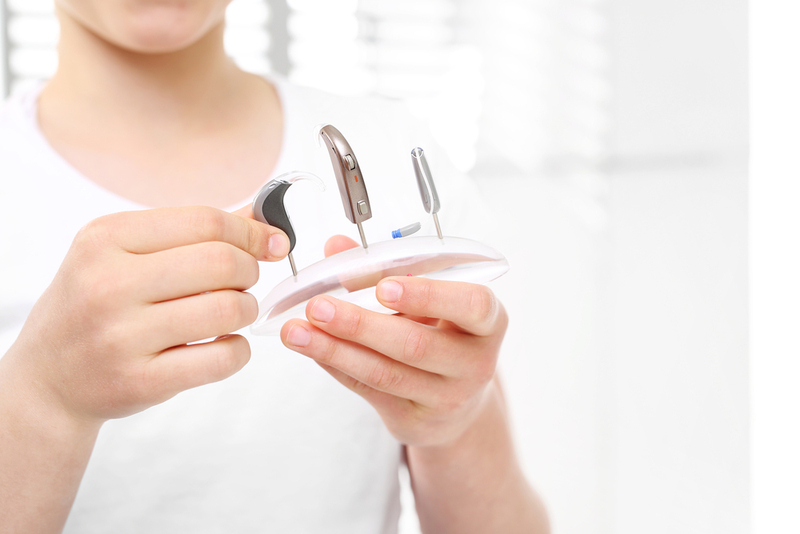 Accidents and damage – Hearing aids are small, somewhat delicate devices and can become easily damaged without careful handling. Those who are not used to dealing with hearing aids may drop them or crush them within the first few months of ownership, greatly reducing the average lifespan without providing an accurate picture of the durability of hearing aids. Proper upkeep – There is a bit of daily maintenance that needs to be performed on your hearing aids, as well as less regular tasks. If these things are not done, hearing aids can become less effective over time, and it can shorten their overall lifespan. Manufacturer – While Hearing Associates of Las Vegas is an independent hearing clinic, we don’t recommend all hearing aid brands, though we can. Not all of them have a history of excellent construction, and those hearing aids from less experienced manufacturers are far less likely to last over the years. If you want to ensure that your hearing aids last as long as possible, there are a number of things you can start doing to protect them. Always take your hearing aids out over a soft surface in case you drop them. Bring your hearing aids into our hearing clinic when they need repairs. Wipe them down when you take them out for the night. Pop open the battery doors before you put your hearing aids away. Bring your hearing aids in for professional cleanings. To schedule your professional hearing aid cleaning, repairs, or any of our other hearing services, contact us. We look forward to helping you with your hearing need!